it's underneath the car above the rear axle on the bulkhead near the tank. Also check for a plugged or melted plastic hose that goes to the charcoal canister from the roll over valve. 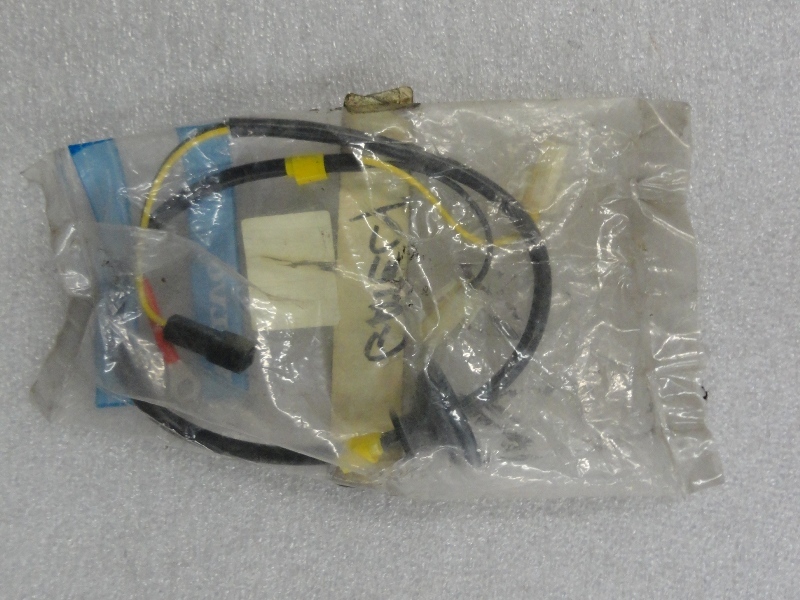 Had I seen this thread earlier, I would have offered you this NOS fuel pump harness. thanks for the offer on the harness but I'm all set now. I did get under the car and in the trunk and it appears that I do not have this valve. I can see and feel the very hard tube coming from somewhere in the front of the car, above the axle and above the lip of the gas tank and I think it goes directly into a metal tube that does a little loop and ends up in the tank filler tube. Possibly taken out in it's earlier life? At any rate tomorrow awhile and remove the cap while it's running to see if I hear anything, although I think Mike and I did this test some weeks ago with no noises heard but we'll see. The main in-line pump can out pump the in-tank pump. I'm running an Aitex low pressure (maybe 12 psi), high volume in-tank pump meant for a Chevy S-10 with 4.3 liter Vortec V6 engine. This type pump should be the same in-tank pump used with throttle body injection. thanks lummert, I bought an Airtex E8778 but have not put it in the car at this point, we disconnected the fuel line to the main pump and there seemed to be plenty of fuel being supplied so I abandoned that thought for the now. I assume you physically looked at that vent line in the trunk the whole way back to the filler neck...reason being is that in my car the valve wasn’t visible but was tucked up where the metal line does the loop. Only when I pulled the line out to see if it was clogged did I realize it was there. The valve in the trunk was only used until '79 IIRC. Test drive today produced exactly the same results; fuel pump starts to hum after 1/2 hour or so but gets no louder and is very responsive to the throttle even when I floored it for a short time from 50-70mph. When I parked the first time I left it running and opened the gas tank but heard nothing and did the same thing when I got home just now. One note though, the first time was outside and as I was reaching in to turn off the key I come smell fuel faintly. Another note is that there has been no failures to this point either so I'm guessing I'm making progress? I jacked up the car and found the roll over valve, pretty well gummed up so I'll get a new one but did find this on the hose that leaves the valve going to the tank filler tube. Pics show both ends, I replaced it and idled the car for a bit, still moaning somewhat but very responsive to the throttle. Could be why I was smelling fumes? As I understand it, the only purpose is to prevent fuel from leaking out of the vent line in the event of a vehicle rollover. Dave Samuels of Wagonmeister is shipping me a new roll over valve so at least that will be taken care of. If you measure current before and after any repair, you may see changes. Like, instead of swapping the rollover valve, measure current then take off the fuel cap and recheck. Idk. Just ideas. Thanks zvolv, I've been thinking about what you said about measuring current and trying to figure out the easiest way to do that. I suppose under the seat? Just break the connection there and insert my VOM set on DC Amp? Don't damage the pins for the fuse or other terminals front probing with a meter. We use terminal test tools that are the exact male terminal that corresponds to the female terminal. I also have an amp clamp with a BNC connector to hook it to a scope. There are also clamps with a display built in. Or use a meter, but a cheap meter may not be very accurate or even work at all. I had to cough up the $400 for a Fluke to do accurate parasitic battery drains. If you do use a meter, yeah, maybe do it between the connector at each fuel pump. Backprobe if possible. Or find a way to avoid terminal damage. These old Volvos have overbuilt terminals, but if you front probe on a modern car it's very easy to damage the tiny terminals. If you have to, use a needle probe. They even come with 4mm banana terminals to connect to meter leads. Or go raid grandma's sewing kit and get some of those "T" needles and use alligator clips connected to them. In your case, consider checking the fuse connections and crimps. Grounds and terminal connections and under car wiring too. Bad wiring can cause excess resistance and heat and cause components to fail. Such as blower motors pulling too much current, then causing the resistor to overheat and fail. A new resistor will fix it, but fail soon. Last edited by ZVOLV; 05-15-2018 at 03:43 PM..
3.10 Amps draw from the fuel pump on a cold start. Starting to feel a little bit better about this challenge we've been going through. Took him for my 1/2 hour of errand running and the car ran great, no noise till after that 1/2 hour mark but even then he still ran fine even under hard acceleration. Got him home shut it off and connected the VOM inline to get a reading of draw. Restarted and the draw was 3.9 down to 2.9 on occasion and sort of went with the whine of the pump and did not draw more even when I pressed the accelerator. I still don't trust him so haven't taken it out any further and at this point and wondering if all I'm dealing with is a louder than a Bosch fuel pump. R.
Guys - can he put a single/in-tank pump on the 84 OEM Volvo F.I. system, do away with the inline pump?